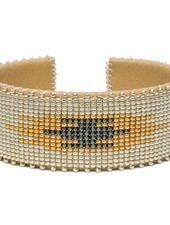 Leather cuff embellished with handloomed pattern using fine Japanese glass beads. 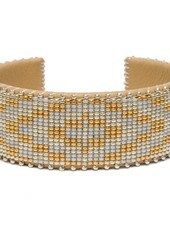 The pattern features a silver background, dark grey accents and three small gold patches in middle. 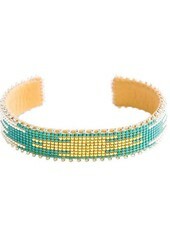 This cuff measures six inches long and has an adjustable copper band inside. 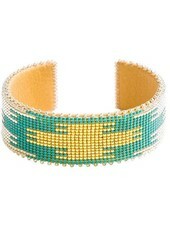 It is hand-beaded on a traditional Navajo loom and made with high quality seed beads. 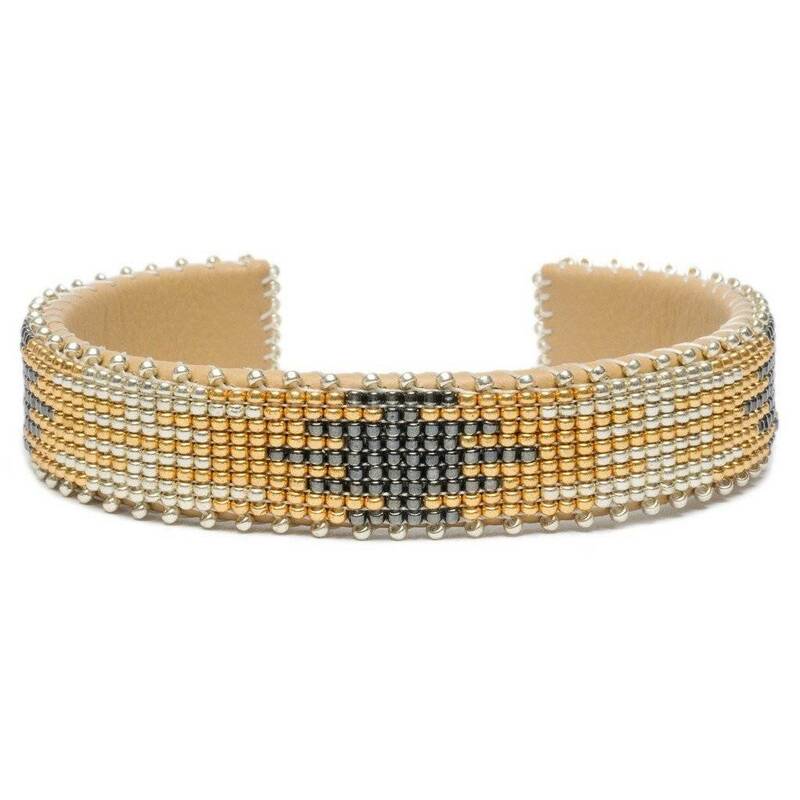 After the pattern is arranged on the loom, the beads are sewn onto our super soft genuine leather lining.